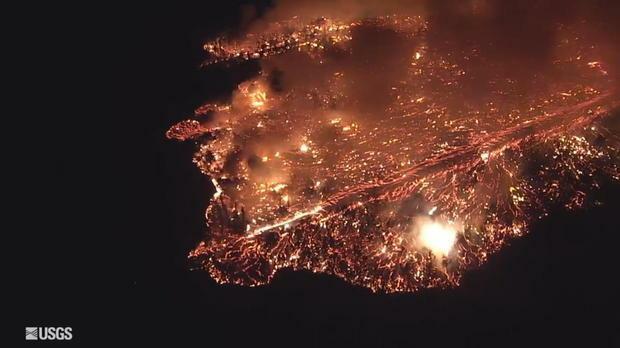 Somewhat remarkably, only one person has been hurt by the lava since the eruptions began. Civil Defense Administrator Talmadge Magno told the Honolulu Star-Advertiser that a man sustained a "serious" injury on his leg two weeks ago when he was "lava-bombed" by splatter that hit him while he was sitting on the porch of a home near the Lanipuna Garden subdivision. The incident reportedly shattered the victim's leg from his shin to his foot and he was taken to a hospital to be treated, ABC News reported. This image shows the flow margin on Kahukai. The lava in this area is about 3 to 10 feet tall. Fissure heights are continuing to reach 230 to 260 ft above ground level. 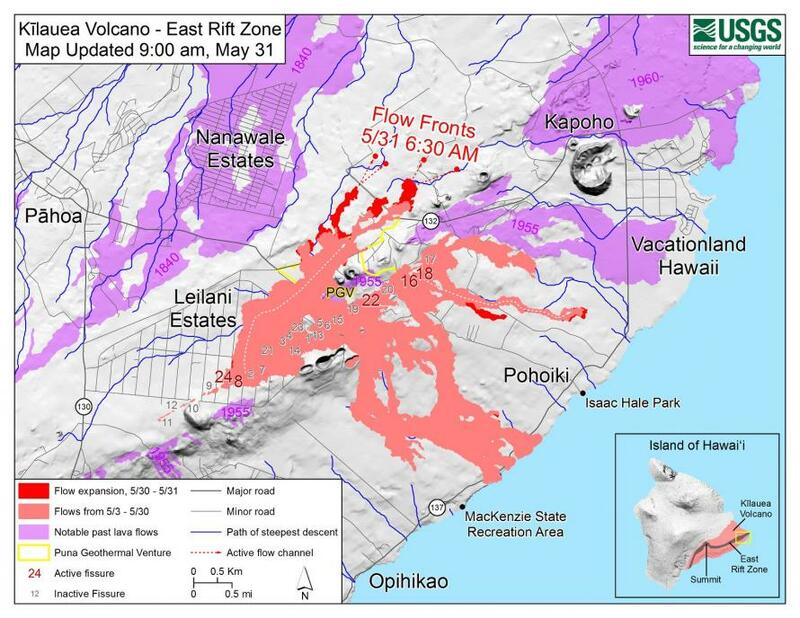 The fountaining feeds a lava flow that is moving to the northeast. And as Fox News reports, as that molten lava continued spewing, Hawaii County ordered all residents of a designated portion of the hard-hit Leilani Estates development to evacuate by Friday morning or face possible arrest. 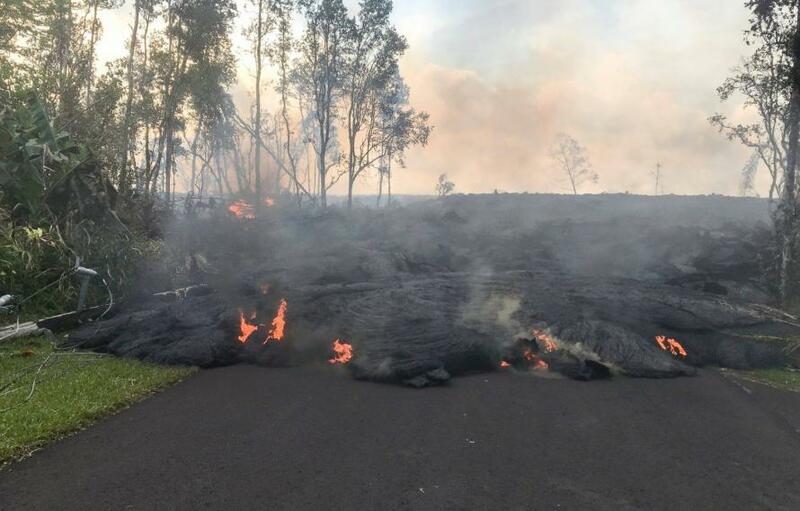 Big Island Mayor Harry Kim declared a roughly 17-block swath of the estates “off limits indefinitely” and gave residents 24 hours to get out by 12:06 p.m. local time Friday, Reuters reported. 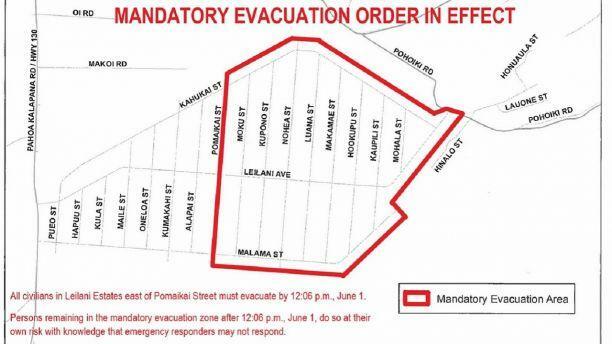 Those remaining in the mandatory evacuation area beyond the deadline “do so at their own risk, with the knowledge that emergency responders may not respond,” the Hawaii County Civil Defense Agency said in a statement. The county agency also said anyone in violation of the order will be liable for any costs associated with rescue operations. Meanwhile, Leilani Estates residents west of the mandatory zone were “strongly encouraged to evacuate,” the county said. 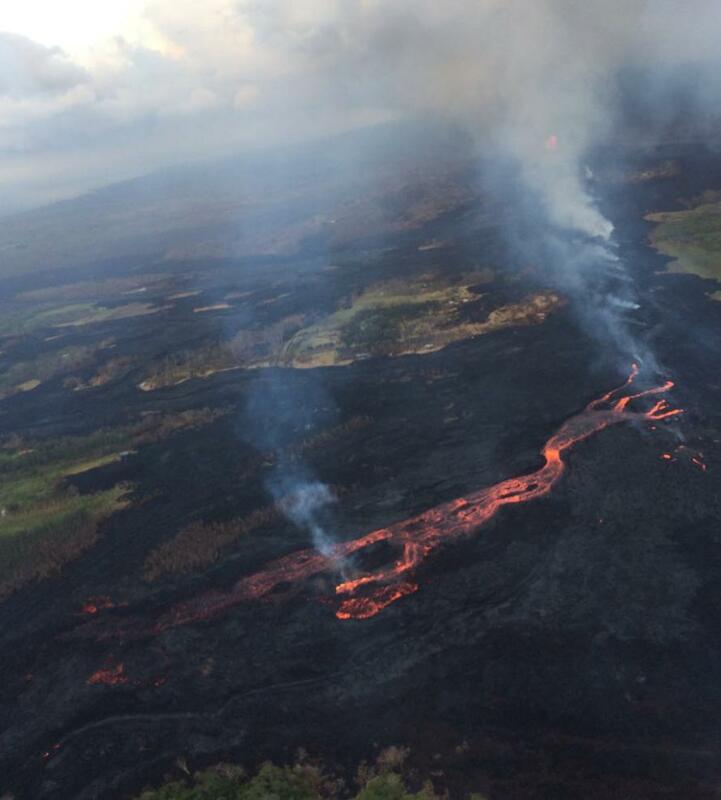 “You are at risk of being isolated due to possible lava inundation,” the civil defense agency warned earlier this week. Additionally, CNN reports that the Hawaii volcano, in addition to spewing ash, fountaining lava and bursting lava bombs from the Earth, is even creating its own weather. 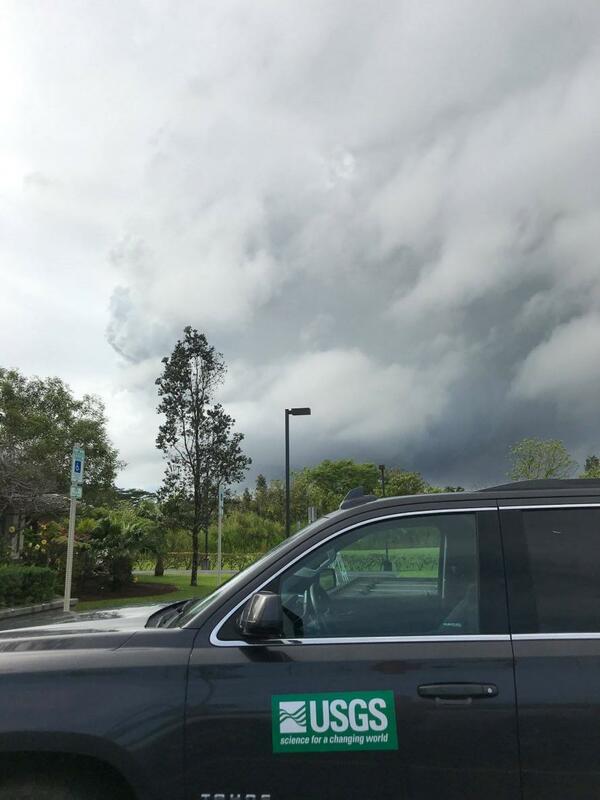 The United States Geological Survey, or USGS, posted a photo to Facebook from earlier this week that shows building pyrocumulus clouds over fissure 8. 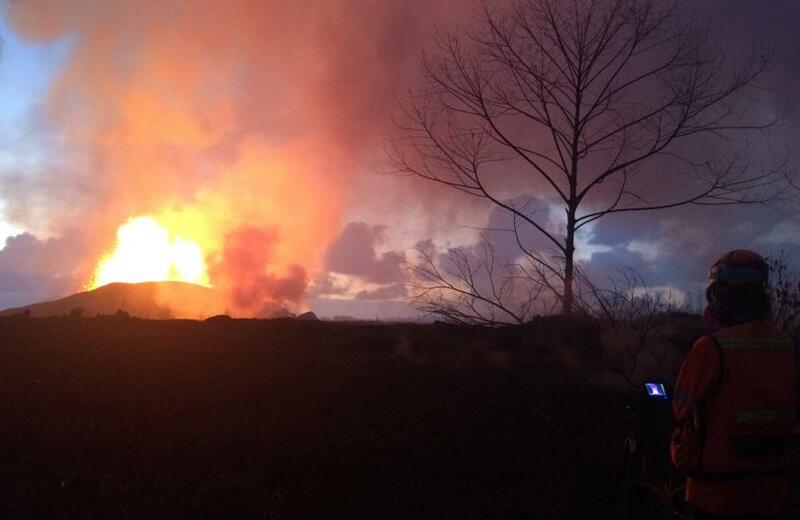 "Hawaii Volcano Observatory Scientists are beginning to observe these 'pyrocumulus' clouds forming over the Leilani Estates fissure system," stated the USGS. Pyrocumulus clouds are rare mushroom-like cloud formations that can tower above lava and gases spattering from a volcano. They are often also referred to as "flammagenitus" or "fire clouds," the USGS said in the post. Meanwhile, it's not just the lava that is running hot, as CBS News reports, residents too are reaching their boiling point. 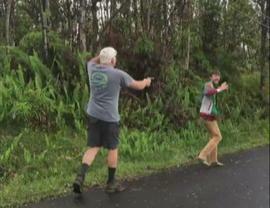 A man was arrested after pulling a gun on a neighbor and shooting it during an argument. Sixty-one-year-old John Hubbard is now under arrest, accused of opening fire and allegedly assaulting a neighbor who came to check on his property. The victim was injured, but was not shot. “There’s no sign we’re getting that anything is going to slow down at the moment,” Stovall told reporters, according to Reuters.